Walking tours are hit or miss for me, mostly miss. It’s a hit if I come away more educated than if I walked to the venues on my own and, if not educated, then at least highly entertained. Because of either (or both), many are a miss. I recently signed up for a gallery tour of Chelsea -- the neighborhood with the greatest concentration of galleries in New York City -- with New York Gallery Tours that’s run by Rafael Risemberg. 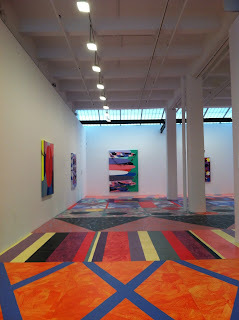 Nonetheless, the works were impressive, some eccentric and avant garde, others sensual and curious. By far, the most noteworthy was the Brazilian art duo, OS GEMEOS, with their vibrant, boldly-hued paintings, sculptures, collage and drawings exhibited in five rooms of the Lehmann Maupin gallery. Another artist that fascinated me was Sarah Cain who showed her paintings in the Lelong Gallery -- her floor painting is on linoleum and is an expansive 2,500 square feet. 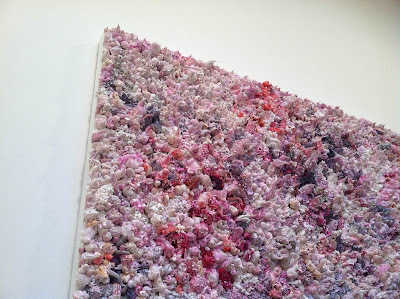 Some artists either used unusual media or traditional media in an unusual way: Xu Zhen at the James Cohan Gallery created a 3D painting that looks like it’s a collage of sea shells. In reality he used a pastry bag to squeeze out the paint. Mark Wagner (at the Pavel Zoubok Gallery) is noted for making paintings out of slivers of paper currency. 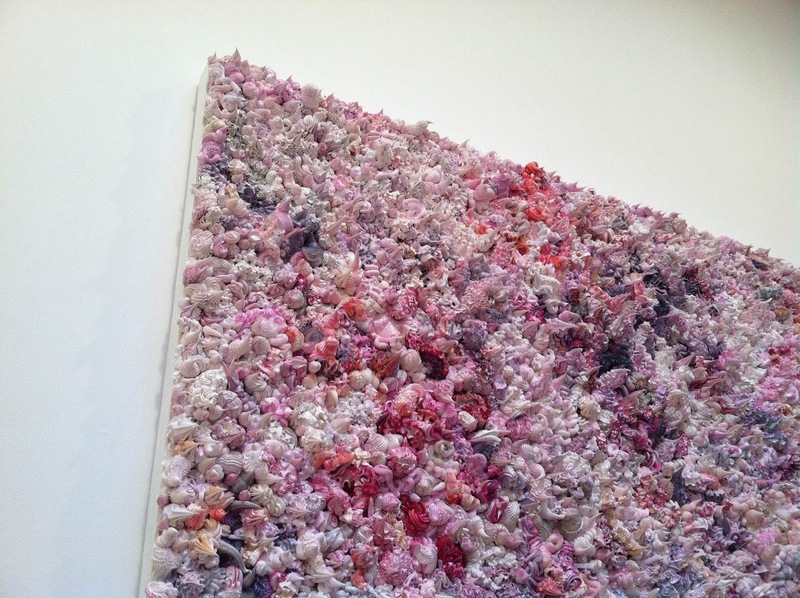 While Francesca Pasquali often relied on clusters of plastic straws to create her scultural pieces.